Manchester United have been alerted by the availability of Borussia Dortmund defender Marc Bartra as the German Bundesliga side are considering selling him. The 27-year-old moved to Germany from Barcelona in a £7 million deal back in the summer of 2016 but has struggled to establish himself at Signal Iduna Park, making just 31 appearances in all competitions. 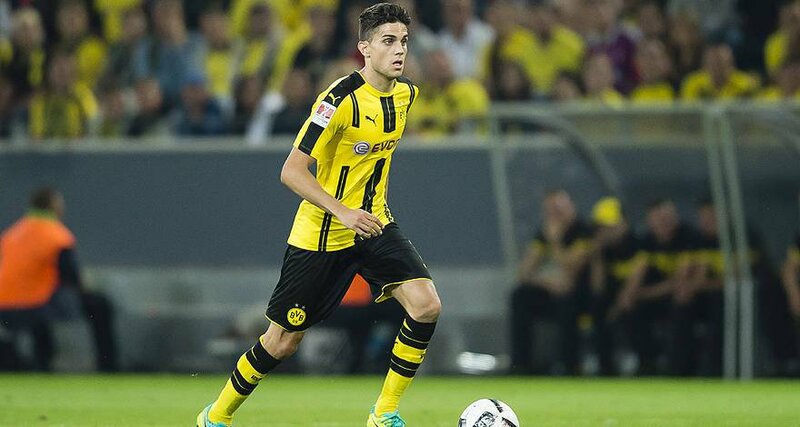 Bartra had been a first-choice defender for Borussia Dortmund earlier in the season but has not seen much playing time since the appointment of Peter Stoger as head coach last month. With the Spaniard seemingly not in the coach’s plans, reports from Spanish newspaper Marca claim that Marc Bartra is now available for transfer. As well as Manchester United, this news should also attract the attention of Juventus and Manchester City as well. We were strongly linked with a move for the defender back in the summer though did end up signing Victor Lindelof from Benfica instead. With the Swedish defender struggling to adapt to English football we could certainly make a move for Bartra. The report in Marca actually says Real Betis are in for the 27-year-old but they would be no competition for us should Jose Mourinho go in for the Spanish international. We currently have a number of choices at centre-back but with the exception of Eric Bailly, the boss has never been settled on a partner for the Ivorian. Phil Jones, Chris Smalling, Lindelof, Marcos Rojo are also all at the club.